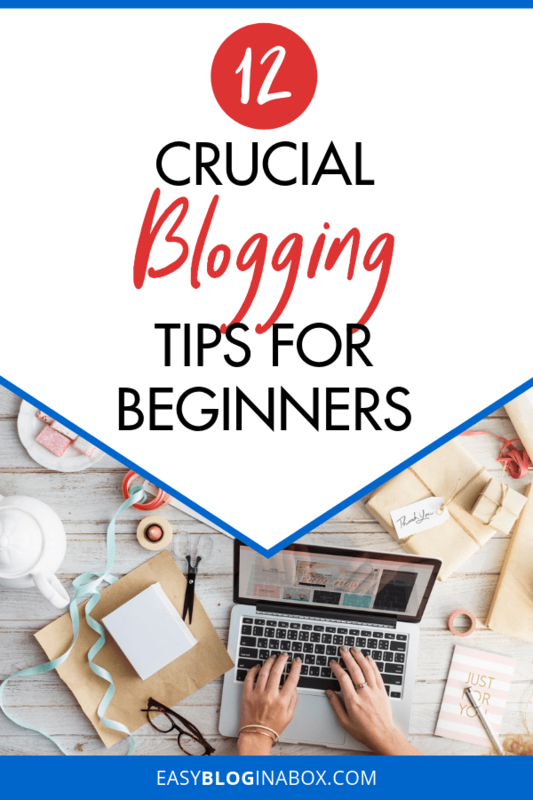 Blogging has been around for a while, and plenty of people have managed to turn entertainment and lifestyle blogs into professional blogs through a mix of trial-and-error and luck. 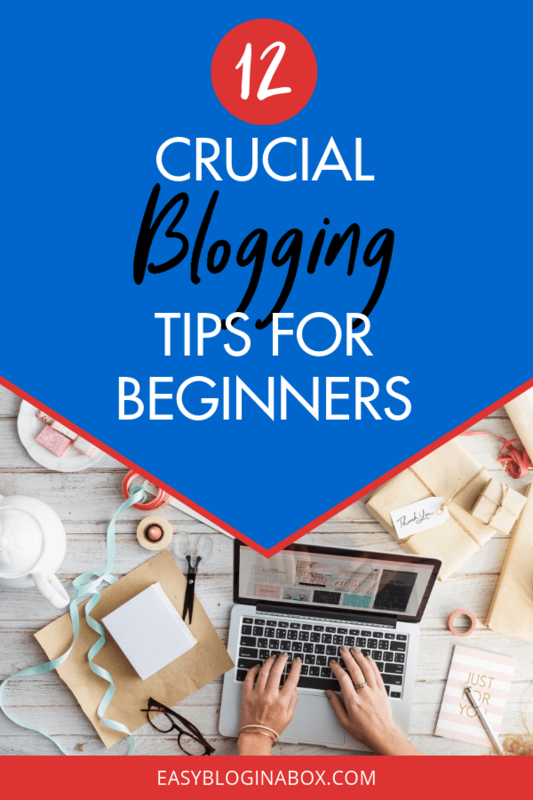 While there’s no perfect way to run a successful blog, here are a few blogging tips for beginners that can help you get the most from your efforts. The first rule of any type of writing is to know your audience. If you don’t understand what information they’re looking for, it’s incredibly difficult for you to determine what type of content will catch their attention and keep them coming back for more. This is where social media comes into play. You can use platforms like Pinterest, Twitter, LinkedIn, Facebook, or Reddit to determine which topics and interests are already gaining traction on each channel and what ideas are trending. This is also an opportunity to discover the differences between your followers on each channel, which can help you tailor your content for that audience. To run a successful blog, you must understand your audience and what they’re looking to gain from following you. Once you have their attention, you can tailor your posts and topics to their needs. Social media is also a great tool for interacting with your readers directly. You can simply ask them what topics they’d like to see or test headlines and excerpts before you write the piece. Comments on social media, or directly on your blog, can give you inspiration for your blog posts. Read comments, ask questions, and gather feedback from your loyal followers to learn what topics will be most useful or interesting to them. The reason so many lifestyle blogs became successful is because the writers and creators focused on their own interests. Generally, these people chose a niche that reflected their passion and experience, so it stands to reason that their audience would share a similar interest in their topics. Reception and traction are important for building a lucrative blog with many followers, but it’s also important to remember that you are in control of your posts and can decide what information you share. It’s likely that many of your followers will share in your enthusiasm. From the very start, it’s vital that you build your email list. Even if you don’t intend to use your blog for commerce or marketing, you can use your email list to promote your content directly, without risking it getting lost in the internet and social media shuffle. If a follower enjoys your content, they’re likely going to want to subscribe by email to stay on top of any updates you may share. Generic call-to-action phrases, like “subscribe here” or “join our email list,” don’t perform as well as specific language that informs your follower of exactly what information you’ll be sharing. Depending on the niche, a call-to-action like “download the holiday recipes e-book,” “get a free workout video delivered to your inbox,” or “receive 10% off your first order” tells your followers what information they’ll be signing up for and increases your subscriber rate. For more details on how to grow your email list read: How To Go From 0 – 500 Email Subscribers in 30 days. In my experience, 80% of website issues have been due to plugins and 20% due to the hosting provider. Choosing a quality hosting service is essential! There are many different types of blog hosts available, so you need to decide which works best for your needs. Some important factors to consider are cost, space, reliability, transfer limit, and customer and technical support. Cost is fairly simple to determine, but be sure to check the specific features and price before you decide. Transfer limitations and space are a bit trickier though since they determine how much data you can transfer to your blog each month, and how much server space is available to store blogs, respectively. This information is available when you check packages and plans, so you can figure out the best option for your needs and budget. Keep in mind that transfer limits can be upgraded as your blog grows, and most blogs don’t need terabyte-level space. Reliability, which refers to site speed and load times, is incredibly important for you and your followers. People won’t be able to access your blog or may become frustrated with slow load times, which will keep them from returning in the future. 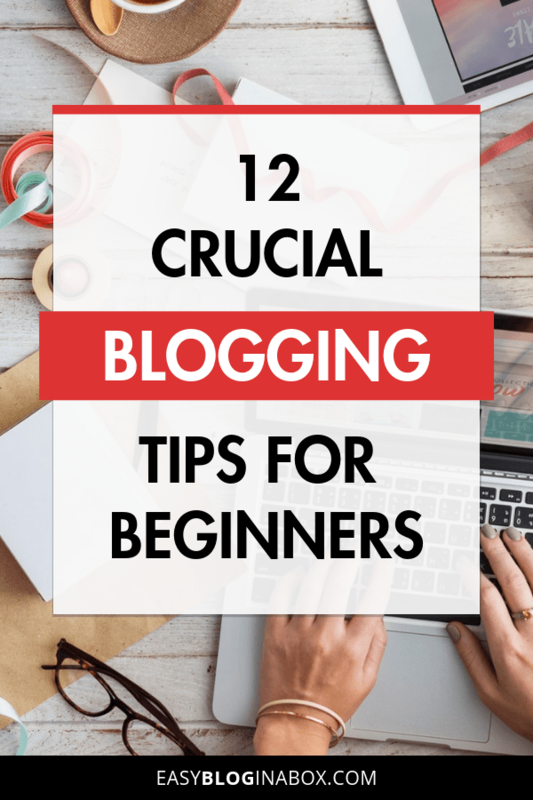 In addition, you will need to access and update your blog regularly as well, and you don’t want to deal with the similar frustration that will cause you to abandon it. Support is another element that you’ll want to consider. Any issues that arise with your service or questions you may have should be addressed quickly and competently, so be sure to review the support offers by your hosting service to ensure it meets your expectations. Fortunately, SiteGround has you covered on all fronts. 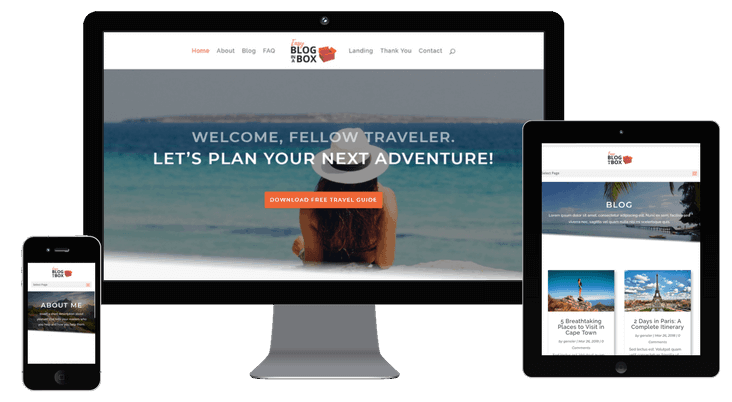 They offer budget-friendly, flexible plans to suit any blogging level, lightning-fast speeds, and 24/7 support. We’ve used a number of hosting services and SiteGround is our favorite for bloggers. Check out their web hosting plans here. Many bloggers become so caught up in growing their following and finding new subscribers that they forget to engage the ones they already have. Regular interaction, surveys, feedback requests, or exclusive offerings tell your loyal readership that you care about their opinions and satisfaction, and you want to focus on serving their needs. You should never stop trying to recruit new followers, but remember to reward the ones who have stuck around and give them a reason to share your content and recruit followers for you. People love free stuff. Use your blog to give away free content, free advice, tips, and tricks, or even free gifts to engage your audience and keep them coming back for more. Whatever your blog is designed for—selling, affiliate marketing, entertainment – you can always find a creative way to give something free to your followers. It’s very difficult to hold on to subscribers if you post a dozen pieces a week, then fall off the face of the earth for the next month. Your blog is something that your subscribers will look forward to and keep tabs on, so be sure to post at least once a week to keep them engaged and interested. There are millions of blogs that cover the same niche. The personality you inject into your writing is what will separate you from the pack. People will follow you because of you, not just your content, so allow your personality and writing style to shine through and connect with your audience. Some great examples of the power of voice are mom blogs, pet blogs, or personal travel blogs. In each of these cases, the reader is learning about the writer’s daily experiences and emotions, which is what helps them identify and relate to that writer. They become just as invested in the person as they do in the content. Successful blogging takes time to offer a return. Some of the most successful blogs you’ll come across have been active for over a decade. When you start your blog, plan on investing a lot of time and effort before you start to see a significant following. During this time, you have an opportunity to learn and evolve so your blog will be the best it can be when you start to get more traffic. There’s so much information floating around on the internet. No matter how great your content is, you have a split second to catch their attention and get them to click. Be sure that your headlines are catchy, short, and powerful enough to make them want to read your blog post. As mentioned above, social media is excellent for testing headlines. Using the likes, comments, shares, or retweets, you can easily see which headline is capturing your reader’s’ interest and imploring them to share. When creating content, focus on providing maximum value for your readers and opt for longer posts. Blog posts above 500 words will get indexed in search engines, but longer posts of 2,000 words or more tend to perform best. 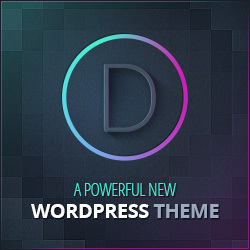 Additionally, your readers will appreciate more depth and value provided in your blog posts. When writing long posts, be sure it’s thorough and useful, but keep it from being unnecessarily lengthy and unfocused. Also, use images, call-to-action boxes, bold headings, and bullet points to break up the content and make it easy to read and comprehend. Blogging is a slow burn. You may feel like you’re writing to no one or become frustrated when you get no comments, likes, or shares. Remember, it takes time. Use this time to improve your blogging skills, keep forging on, and you’ll slowly start to see progress. Blogging may not be the route for overnight success, but these useful tips and tricks should help you produce informative content that captures your reader’s attention and builds a successful blog following.